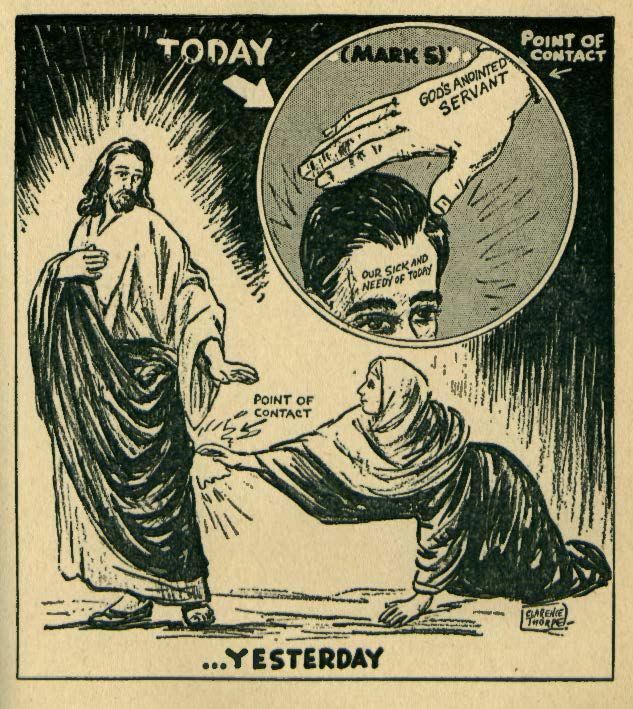 In the heyday of the charismatic faith healing campaigns, millions of “prayer cards” were distributed to patients who desired a curative touch from healers such as William Branham, A. A. Allen, Jack Coe, and Oral Roberts. In order to discipline and organize the potentially excessive crowds of thousands of patients desiring tactile contact with the healer, bureaucratic “card systems” were instituted underneath the massive space of the tent cathedral. These bureaucratic systems structured an efficient “prayer line,” allowing patients to file past the healer in a serialized procession. In the mass crowds of modernity, therefore, the woman with an issue cannot simply make her way boldly through the throng, but she must be assigned a “PRAYER CARD” whose alpha-numerical code dictates exactly when she can make contact with healing power (see prayer card illustration, belowabove). 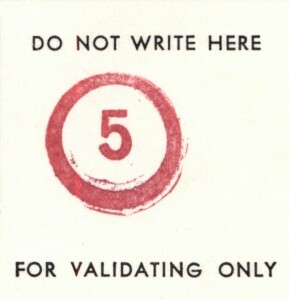 Moreover, the woman must not only wait in patient and disciplined expectation for her number to be called (“E-1”), but in order for her prayer card to be properly validated with a special ink-stamp, she must attend a “faith building” course that instructs her on how faith healing works, and how to comport herself in the prayer line (these faith building services usually occurred in the morning or afternoon before the evening tent campaign). On top of this, the prayer card was also a complicated release form! This prayer card is full of implications for a description of prayer, faith, and embodiment in the late modern world. 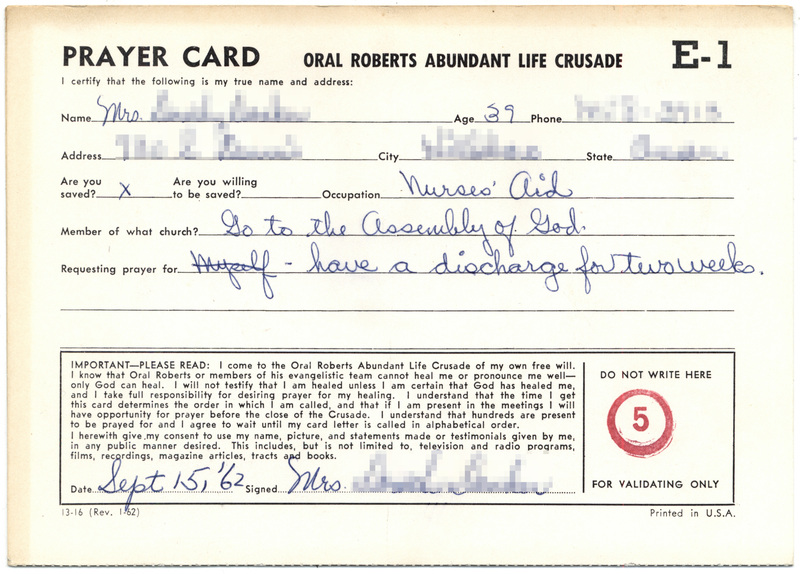 More specifically, the request for payer inscribed on this card invokes a basic theme in the Materiality of Prayer Collection. The self, as that repository of an interiorized faith or belief, is crossed out in favor of a displaced agency and material infrastructure that believes for it. The prayer of faith is thus a discharge produced at the interface of bodily capacities and devotional objects. The efficacy of prayer, like a postcard that arrives from some faraway place, is enlivened by a stamp whose red ink elides systems of sorting machines, bureaucratic practices, and regimes of bodily organization.